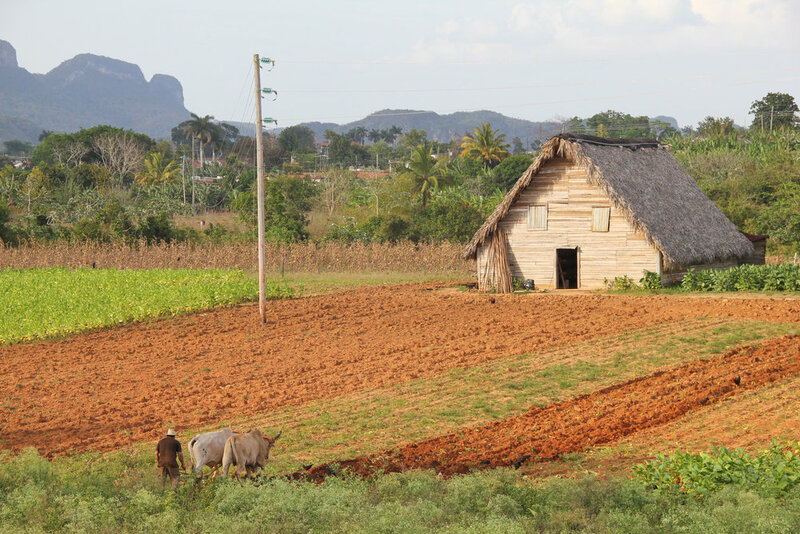 Escape the bustle of Havana and travel to one of Pinar del Río's most stunning natural sights, the Viñales valley. Take a guided nature walk with an expert park guide, and visit old cave ruins of Cuba’s indigenous tribes. The valley isn’t only an ecological wonder; take a historical hike & learn about the site’s role in the Cuban Missile Crisis. In the quaint town of Pinar Del Río, visit a local artist studio and a preserved vintage theater that still hosts productions. Whether you’re a naturalist, historian, artist, or just an intrepid traveler who wants to see the Cuba outside of Havana, this excursion offers something for everyone! Arrive | Back home with new memories and stories to tell! Travel to the historic cities of Cienfuegos & Trinidad, and step back into Cuba’s colonial past. Walk the cobblestone streets and see the vibrant colors of centuries-old homes, monuments, and markets. Visit the studios of a select group of the many artists and musicians who call these beautiful cities home, and learn about the city’s deep artistic and musical roots. Take a guided hike through a protected natural area and see Cuba’s pristine ecological sights. This excursion is perfect for travelers with a love for art and music, those who want to step back in time to an earlier Cuba, or anyone who simply wants to explore island life outside of Havana. Depart | For Trinidad, a coastal colonial city that was once a center of Cuban sugar production, and a site of important slave rebellions. Venture west across the island to the historic province of Matanzas, known for its poets, slave resistance, and strong Afro-Cuban cultural roots. Begin by exploring the region’s Spanish colonial history, and the rise of the area’s massive sugar plantations. Learn about the powerful slave revolts that erupted across the region, led by brave men and women who protested the horrific conditions of enslavement. Immerse yourself in the rich Afro-Cuban culture that emerged, as enslaved and freed Africans contributed their art, music, food, and religious traditions to the fabric of Matanzas life. Visits to artist studios and community projects bring you into the heart of the region’s cultural life today. Matanzas is not only rich in history -- it’s also famous for its natural beauty! Tour a thriving organic farm and explore deep into the area’s stunning network of underwater caves. Finally, visit Hershey Town, the little-known city that the U.S. chocolate tycoon Milton S. Hershey built in 1916 on the island’s north coast. It’s a perfect place to explore the U.S.’s complex legacy in Cuba. Matanzas offers something for everyone! Take a walk through Hershey Town, the city built in 1916 by the U.S. chocolate tycoon.